The Hobbies 3Sixty Magento website design project was a fun one. 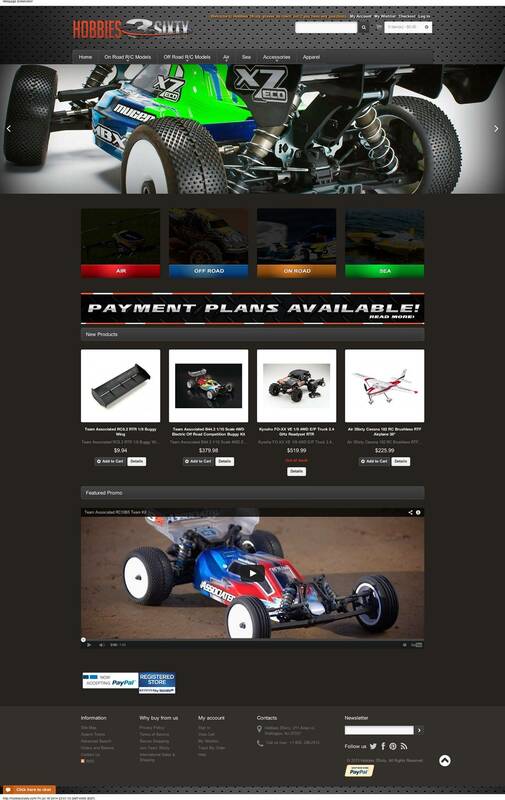 Hobbies 3Sixty is a radio control toys company that needed a playful look to entice the younger crowd in the hobby industry. We decided to give the header a grated look with some shadow for depth. To finish of the playful look, we added multiple color to the maain call outs. Since the 4 categories in the screenshots were the top sellers, we decided to use them. It’s best practice to keep the most important content at the top of the fold.